We guarantee YOUR SATISFACTION with every aspect of your new gutter system, roof, siding & windows. We SEAMLESSLY BOND siding to walls. Our METICULOUS attention to detail keeps your siding from being compromised for longer than you’ll own your home! All roofing companies are NOT equal. Quality roofing WILL withstand Wisconsin weather for 50 years—and DOES when installed correctly. Get a better roof, at a better price from a better company. You’ll be AMAZED at how much more COMFORTABLE your home is. Meticulous installation of the MOST ENERGY EFFICIENT windows & doors completely blocks all air infiltration. Get a FREE roofing, windows, or siding quote now! Overhead Solutions, Inc. is not just a roofing & construction company. We are a dedicated team bringing real growth to our community. Overhead Solutions consistently delivers better roofs to happier clients in Green Bay, Appleton, and all of Wisconsin! Overall the project went great - like all things in life things happen and changes have to be made, but Paul returns calls and e-mails on a regular basis. Paul's crew showed up on time and were prepared to do the job, no sitting or standing around, even in the record heat we had! They completed the project in 2 days - which was great. They cleaned up after themselves and moved back any items they had moved so we didn't have to go behind and pick up. Also Paul was there and was always reachable for even small details or questions. The owner, Paul, personally came out to look at our roof and gave us an estimate. He was always in communication throughout the process. The pricing was very good. The team showed up on time and worked really hard to get the job don in only 2 days! They did a very good job cleaning up all the debris from our yard and deck. I would recommend Overhead Solutions to any new customer. I just want to take a few minutes to thank Paul & his crews for doing an excellant job on my hail damage repairs..... Every question I had you were quick to answer & you handled any of my concerns right away... After the storm hit, I received so many different fliers from different contractors & I am so glad I chose you!!!! AWESOME boss & AWESOME crews!!!! I highly recommend these guys!!!! Thank You, Thank You!!!!! Paul, We would like you to know how very pleased we are with all the work you did for us! The roof looks great, and it's a comfort to know that there are no longer any hidden problems under the roof. You can be so proud of your work ethic, and of the crew you have assembled, It was a relief to have everything handled in such a professional and considerate way. We can't think of anything we would have done differently. Thank you for your attention to detail, and for the clean and orderly condition in which you and your men left our yard. That was very much appreciated! Paul was very professional and very thorough with his explanation and answers to our questions. If we didn't understand something he would explain it in terms that we could understand. He is very easy to get along with and doesn't try to push for added work to your project. He was willing to make extra trips to our house for further detailing on the job as we requested and was very accommodating with the schedule we wanted for our project. There are several of our neighbors who were anxiously watching our project to see how it goes because they are considering going with Overhead Solutions for their projects contingent on ours. We are very satisfied customers. Paul is detailed & very professional. The communication about the job was great, they had it done in 1 day, tarped everything off, and even raked up our leaves to collect possible debris! We will be recommending Overhead Solutions to others. Every Overhead Solutions roofing project is covered by manufacturer warranties and comes backed by our satisfaction guarantee. When you choose Overhead Solutions your property is covered physically and financially. Plus, we offer no interest no payment 12 month financing. Is it time to replace your roof? Don't settle for a second rate contractor with third rate materials. If time has take its toll on your roof, or you're just tired of looking at dreary shingles, Overhead Solutions is here to help. We offer free roof inspections and free estimates. Plus, your roof replacement is covered by our satisfaction guarantee. Build a roof has two phases. The first, roof construction, deals with the structure of the roof. Building the rafters, installing the facia and more are all considered roof construction. The second, roof installation, deals with the "exterior" of the roof. Things like laying felt and shingles or rolling TPO sheets are considered roof installation. The roofing contractors at Overhead Solutions never settle for less. We offer asphalt shingles from trusted brands like GAF Timberline, Malarkey Shingles, Owens Corning, TAMKO and CertainTeed. All of our asphalt shingles are installed according to manufacturer specs so you qualify for all available warranties. Overhead Solutions frequently works with standing seam metal roofing, pole building metal roofing, painted metal shingles, stone coated metal shingles and more. 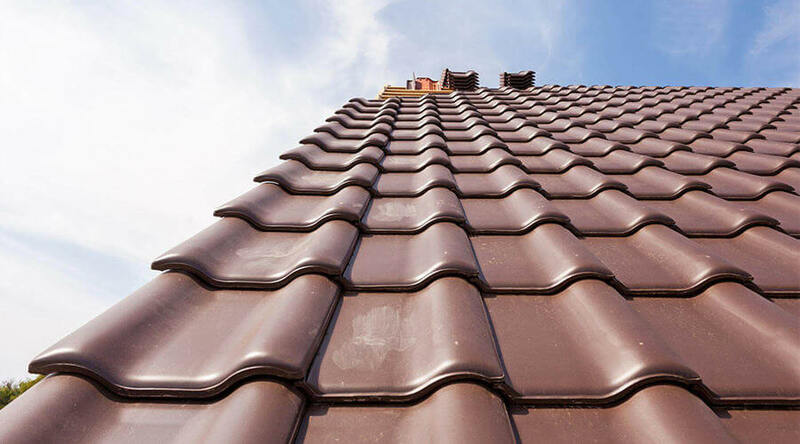 Our roofing contractors only offer the best, so we use DECRA roofing materials. Stone coated steel tiles from DECRA provide better protection and better style than the competition. All of our work is completed according to manufacturer specs so you qualify for all available warranties. Plus, we offer a 12 month 0% financing and a satisfaction guarantee. Your home is covered, physically and financially, when you work with Overhead. Don't trust some cut rate roofer to install cedar shake roofing on your building. Overhead Solutions installs cedar shake roofing according to manufacturer specs to ensure you qualify for all available warranties. When is it time to repair your roof? A quality roof should withstand Wisconsin's harsh weather for 50 years. That's why so many homeowners turn to the professional Green Bay roofing contractors at Overhead Solutions when it's time to repair or replace their roof. Whether you’re a homeowner, have a commercial building, or in the process of building your new home, Overhead Solutions, Inc. offers durable and attractive options within any budget. Trust Overhead Solutions for reliable residential roof repair and commercial roof repair. Our Green Bay roofers are committed to repairing environmental damage, fixing the shoddy work of other Wisconsin roofers, installing new roof designs and doing it all within your schedule. Our secret? We stay organized and on schedule so ten roofers aren't sitting around watching one guy nailing. Plus, our new Equipter machine speeds the whole process along since we clean as we go instead of waiting until everything is done. Contact the roofers at Overhead Solutions for fast, professional and affordable roofing in Northern Wisconsin. Contact Green Bay's best roofing & construction company today for a free quote or more information. Siding not only impacts the appearance of your home or commercial building but if not installed correctly small leaks can lead to serious structural damage and even mold. A bad siding installation is like leaving a window open year round. Losing heat and cool air from poorly insulated siding will significantly increase your energy bills. Spending money upfront on double/triple panned windows only pays off if they’re properly installed. 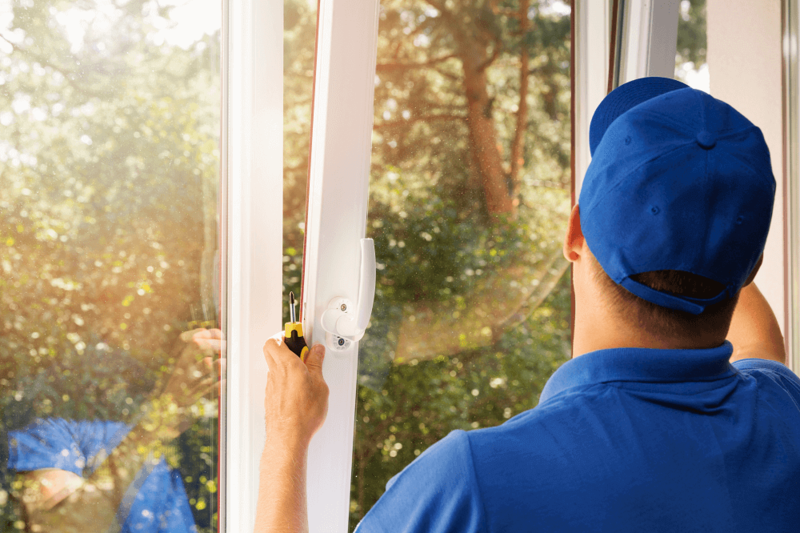 Our window installation team understands this and uses techniques to ensure there are no air gaps that could result in problems later. Overhead Solutions can update your home with energy efficient windows and is happy to fix the faulty work of other window replacement companies. A great foundation and new siding and trim don’t stand a chance against a clogged or broken gutter. Properly installed gutters channel water away from your home or building. Overhead Solutions’ certified professionals install gutters in Green Bay, Fox Valley, and surrounding areas in Wisconsin. Durable gutters can prevent costly rotting and water damage to your home. Don’t put off a simple gutter repair or professional cleaning that could save your home’s foundation. Our certified and insured team quickly and affordably install and repair your gutters so you don’t have to. Clean and correctly installed gutters mean you won’t have to worry every time it rains.